September 15, 2018 5:37 pm. 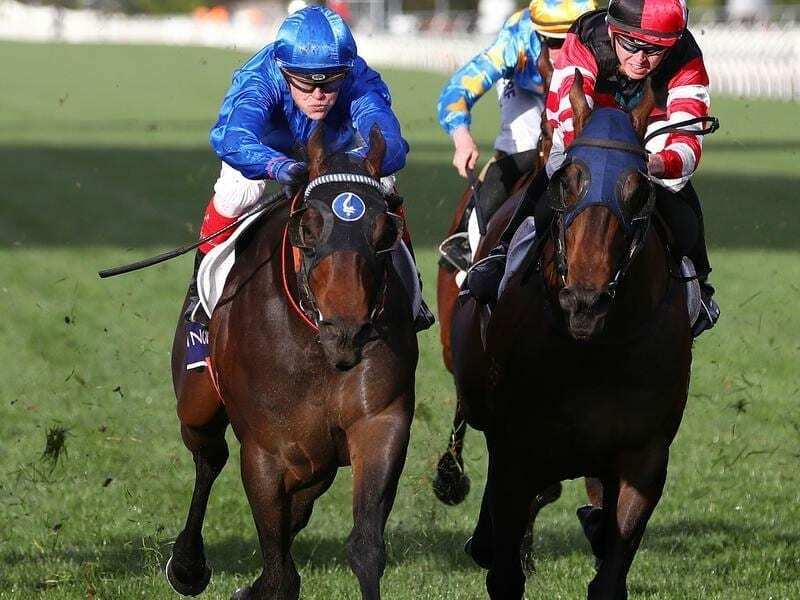 A gear change has had the desired affect with Encryption (left) winning the Danehill Stakes. Jockey Craig Williams elected to go from barrier one to the outside fence in Saturday’s race over the straight 1200m course requiring gaps to open to claim a fast finishing win. “For a horse that hasn’t in the past been that comfortable between runners you can see how well the blinkers worked,” Williams said. He said races being considered was a step up to 1600m for the next month’s Caulfield Guineas or being kept fresh for a tilt at the Coolmore Stud Stakes at Flemington during Melbourne Cup week. “We put the blinkers on and we agreed if he went that well up the straight we’d give strong consideration in keeping him fresh for the Coolmore,” Cummings said.